It’s taken over three years of writing, rewriting and editing … but it all feels very much worth it today. Lycopolis is ready for you to buy! It’s currently available for the Kindle (or any devices with a Kindle reading app – you can download one for your computer, phone or tablet computer from Amazon). I’m working on the paperback version: that should be out next week. 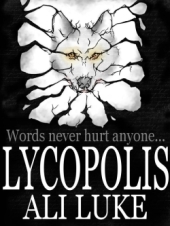 Lycopolis is just $2.99 for US/international readers and £1.97 in the UK. Oh, and to make sure you get any updates about Lycopolis in future (including news of the next part of the trilogy) then pop your email address in the box in the sidebar to the right, or grab the RSS feed. New blog entries will be sent straight to your inbox.